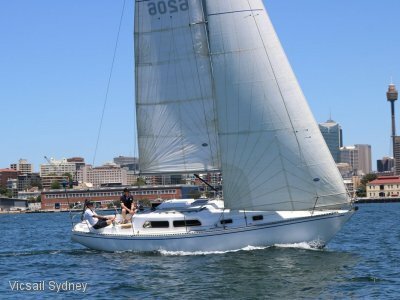 Brought in new just after ther 2016 Sydney boatshow, this well equipped Swift Trawler 30 was lightly used as our demonstator before being handed over to her owners in 2017. The boat was trucked to Adelaide in 2018. 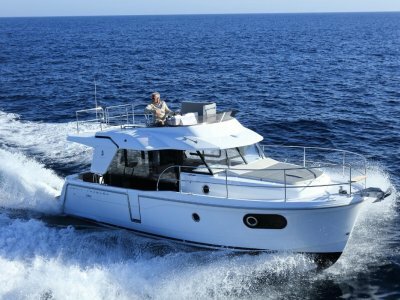 The options chosen include the 2 cabin layout with double bunks, Volvo D6 370 HP shaft drive diesel with under 200 hours, Onan 7.5KVA genset, dual staion bow and stern thrusters, Raymarine electronic pack with plotters, pilot and VHF, enlarged aft swim platfrom with teak, teak sidewalk and cockpit flooring, stainless steel sten rail for tender, electric deck wash pump, inverter, sun beds forward, electric trim tabs, anchor kit and so much more. as for enjoying anchorages and stopovers, she is a very open boat. 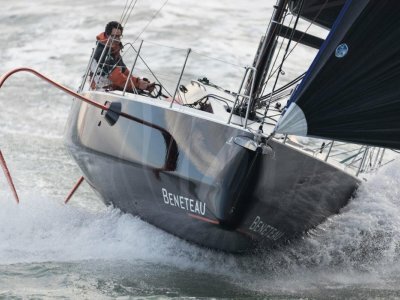 Incredibly ingenious, the rear cockpit converts into a spacious terrace over the sea. With a small lounge area and driving station, the flybridge is a completely separate living space. 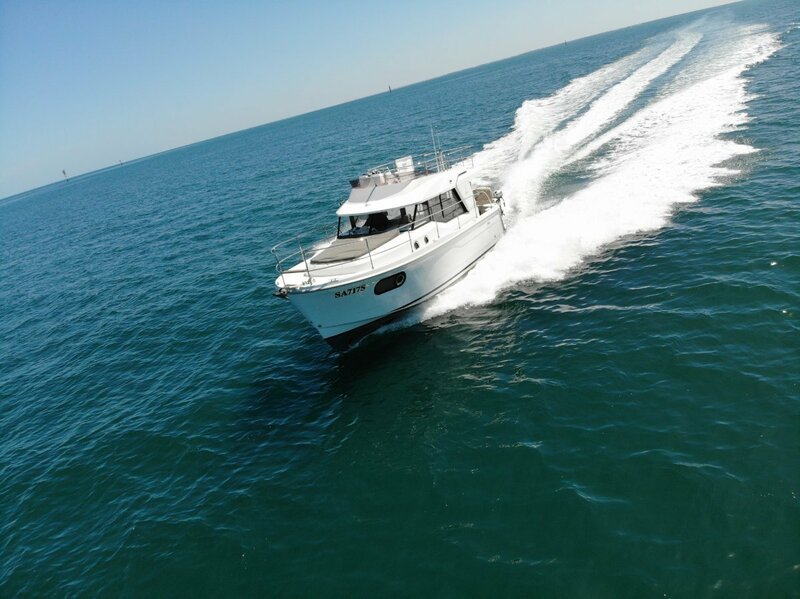 With range of around 200 miles at cruising speed (at 14/15 knots) and large capacity water tanks, the Swift Trawler 30 will take you to places where no other craft of a similar size would dare adventure. 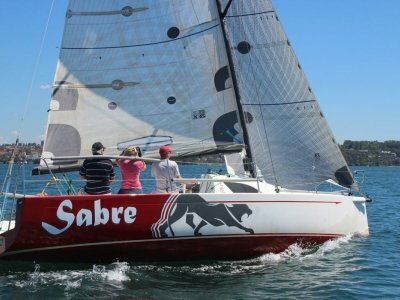 For sale in conjunction with Southern Cross Marine in Adelaide. GRP with teak side walk, cockpit and enlarged swim platform. Band stern thrusters with controls on the flybridge and in main wheel house. Onan 7.5KVA with around 35 hours. 2 x 150L water tanks. 2 cabin version in mahogany. Double bunks to port. Head to starboard. Large owners cabin central forward. Single level wheelhouse with excellent light, visibility and ventilation. 12 Volt front opening fridge in galley. Anchor with chain, warp, fenders and mooring lines. Electric, manual and automatic bilge pumps. 12 and 240 volt systems. Shore power and batttery charger. Stern first stainless steel arch on transom for dinghy storage.